Stop wanting to have, simply be! There is no method to living intelligently. The key is to live, fully, simply “being”. There are two ways you can live. Either you can live “possessing” or you can live “being”. Most of us are the “possessing” kind – we are constantly in search of having this or having that. All our having is about having worldly things. It’s focused on material wealth – money, house, car and such. But when you have all the things, chances are you could still be seeking “something” and feeling “empty”. Your Life is full of things, yet you feel an emptiness, a void. But the one who lives “being” – loving what is, being content with what he or she has, that person, feels inner peace and joy. That person understands himself or herself, the true Self, and is possessed by nothing. 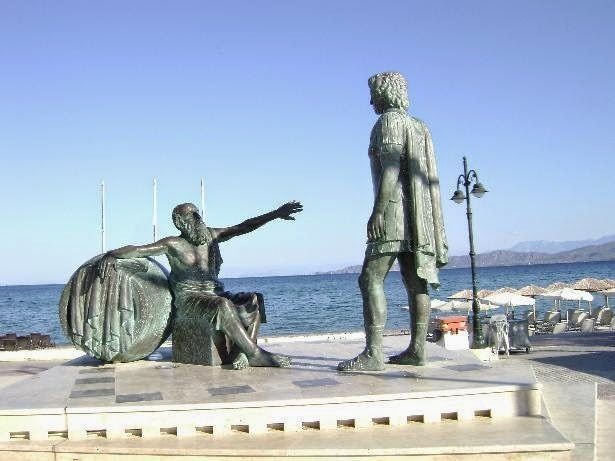 There’s a story of a meeting between Diogenes (404 BCE ~ 323 BCE), the Greek philosopher, and Alexander the Great (356 BCE ~ 323 BCE). It is said that Diogenes, in his quest for inner peace, had renounced everything. He was like a “fakir” – possessing nothing, except a bowl for drinking water. Then one day he saw a dog drinking water from the river and threw away even his bowl, saying he didn’t even need it from then on! Alexander came to meet him one day, when Diogenes was bathing in the sunshine by the riverside, and asked him if he, as an Emperor, could do anything for him. Alexander asked Diogenes what was the point behind doing whatever he was doing. Alexander replied: “So that, when I become the world’s ruler, when I have the world at my feet, I can rest by a riverside just like you – in peace”. At least Alexander had the humility to accept the futility behind all his conquests. And before he died, his “awakening” – thanks to his encounter with Diogenes – led him to tell his ministers that his hands should be kept out of his coffin so that people could see that “Alexander the Great came empty-handed and went empty-handed”. By interpretation, Diogenes is telling you – and me – too that to be clinging on to possessions, to be possessed by what you have – whether it is knowledge or ego or humility or wealth – is futile. You can be absolutely free when you simply be. You may have nothing worldly, but you will have an aura that can touch and energize everyone around you. That kind of energy comes from within. That’s what Jesus meant when he said, “The Kingdom of God is within you”. The power of such a person does not come from things. Those who are driven by things and accumulating – power, position, property, titles – are, logically, powerless without them. But, as Diogenes’s story teaches us, the one who has nothing, commands great respect and has a great power, to even transform the Greatest Emperor! You and I don’t have to renounce what we have. We don’t have to be another Diogenes. Let us be ourselves. But let us also stop wanting to have more and more. Instead, let us learn to simply be – happy and content with what is. That’s when we too will be soaked in inner peace! Author AVIS ViswanathanPosted on May 26, 2014 March 14, 2016 Categories Alexander the Great, Art of Living, Corinth, Diogenes, Greece, Having, http://schemas.google.com/blogger/2008/kind#post, Inner Joy, Inner Peace, Intelligent Living, Just Being, Nothing, Simply Be, WealthLeave a comment on Stop wanting to have, simply be!